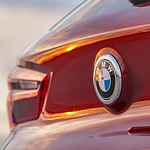 If you’re getting ready to buy a vehicle and you’d like to see a new coupe or convertible in your driveway, it’s time to give the new BMW 2 models a closer look. The team at i.g. 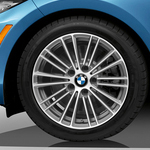 Burton BMW is pleased to offer this high-end automotive series to the residents of Milford, and we’re standing by to tell you all about its many amenities. 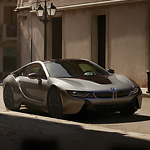 Why is the BMW i8 Built So Light? One of the components of a sports car is its lightness. The feel of a ride in a sports vehicle is like riding on a cushion of air. The creation of that feeling is the result of a concentrated effort by engineers to make the contact of rubber and road as light as possible to increase power while saving energy. When you are looking for a midsize luxury SAV, you know that there are options out there and that you must consider the features that come with each one. i.g. 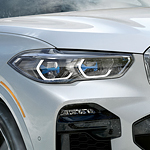 Burton BMW wants you to pay attention to the popular BMW X5 and all that it offers. If you haven’t test driven the new 2019 BMW X3, then you are truly missing out. The latest vehicles have been given all sorts of upgrades, but the biggest is the base horsepower. With all new engines, BMW increased the standard trim’s horsepower to 245, but there are trims that go all the way up to 350 in horsepower. 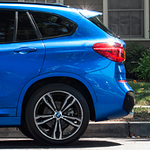 You may even like the all new X3 trim called sDrive30i, which is a rear-wheel drive performance engine SUV. Tires are an essential part of your vehicle. Without them, you can't go anywhere. That's why BMW offers our customers road hazard tire coverage to give you peace of mind when you are on a trip of any duration. Let's face it, roads are tough. With road hazard protection, you'll be prepared for the unexpected. These days, drivers in Milford expect a lot from their vehicles. If you're looking for a luxury vehicle that can handle itself in a variety of conditions, we at i.g. Burton BMW recommend the X1. The X1 has a powerful engine, with 228 horsepower. It has intelligent all-wheel drive that can automatically respond to the road, and Dynamic Stability Control and Dynamic Traction control can help you stay safe. Other safety features include Lane Departure Warning and Forward Collision Warning. Understanding the difference between the vehicle dynamics of oversteering and understeering can help you to deliver a safe and seamless drive every time you take to the roads of Milford. The vehicle dynamic experts at i.g. 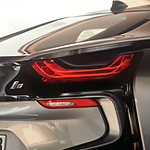 Burton BMW want to equip you with the knowledge that you need to get the most out of any driving experience. In general terms, oversteering happens when the vehicle turns more than the driver intends while understeering occurs when the vehicle veers less than the driver commands. Understeer translates to lack of grip. If you thought electric vehicles were just a thing of the future, think again. You can have your own high-performing electric vehicle by getting one of the i Series that we have at i.g. Burton BMW. 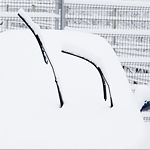 One thing that people need to think about is when to replace the windshield wiper blades. If you do not stay on top of them, then you are going to have some problems later on when you are on the road. Fortunately, we at i.g. Burton BMW have a recommendation for you when it comes to changing the wiper blades. The BMW X Models are a series of popular luxury SUVs. These vehicles marry the functionality of a sport utility vehicle with the luxurious features of a sports car. BMW aficionados love that these SUVs have the same zippy feeling as a sedan. The X Models offer rear seats that fold down for added storage. They also have rear tailgates that make loading gear up a breeze. 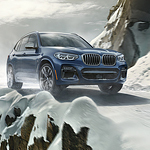 Whether you are hauling people, skis or other gear, the BMW X Models can do it all.